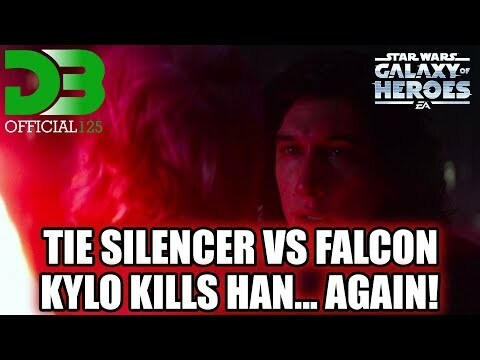 Tie Silencer vs. Falcon - Kylo Kills Han... AGAIN! You should just be aware that the video showcases a current bug where HMF can be targeted even with Outmaneuver if everyone (including HMF) has stealth. Granted, it may not have made a difference in the outcome, but it's important to note. Hounds Tooth version is coming, the issue was my main account didn't have the ships I needed for it and my test shard didn't have anyone around to set up the defence team. Atm I'm working on finding you guys the most consistent, least rng-heavy line up for that team too. Obviously if you have Falcon just use an All-Rebel team to smoke it and then this one to avoid mirror match headaches.